The Historic Belton Train Depot will be the site of a new SC Department of Archives and History marker dedication on Sunday, February 10, beginning at 3 PM. “Join us for an interesting presentation on the history of Craytonville followed by the marker dedication for this historic site,” said Abigail Burden, Belton Area Museum Association Executive Director. Once a thriving village instead of the crossroads of today, Craytonville is more than just a mark on a map. Attendees will hear about the important historic moments experienced at Craytonville throughout its long history. From heated political rallies to a 19th century conspiracy theory, from an agricultural and educational center to a missed opportunity, Craytonville was at the center of public and political life over 100 years ago. The dedication ceremony culminates a year-long process of application, fundraising, and forging of an historical marker for Craytonville. Free to the public, this celebration is the first in 2019 for the genealogy series of lectures Family Trees and Me. Light refreshments will be served prior to the unveiling of the marker. 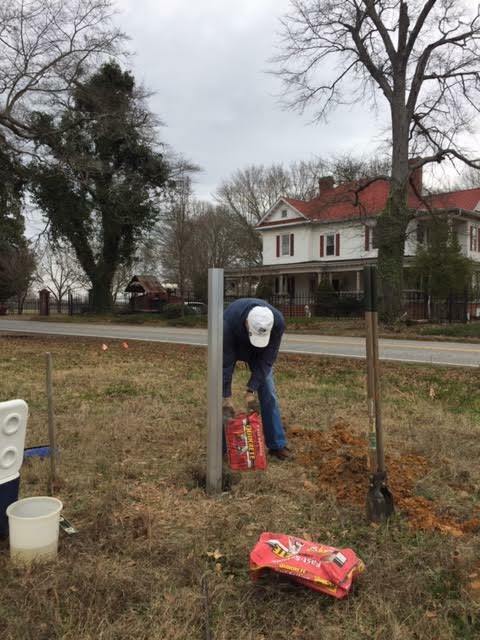 “Thanks to the assistance of Roy Mac Haggard and Don Kay, the post has been set, so we invite everyone to drive out to the Craytonville site to install the marker on its post right after the Sunday afternoon program,” added Mrs. Burden. This newest historic marker is one of five that the Belton Area Museum Association has been instrumental in placing around Anderson County. Prior historic markers include the Chamberlain-Kay House, the Historic Belton Train Depot, Central School, and Gentsville. BAMA Board Member Don Kay has spearheaded the efforts to place these markers in Anderson County.